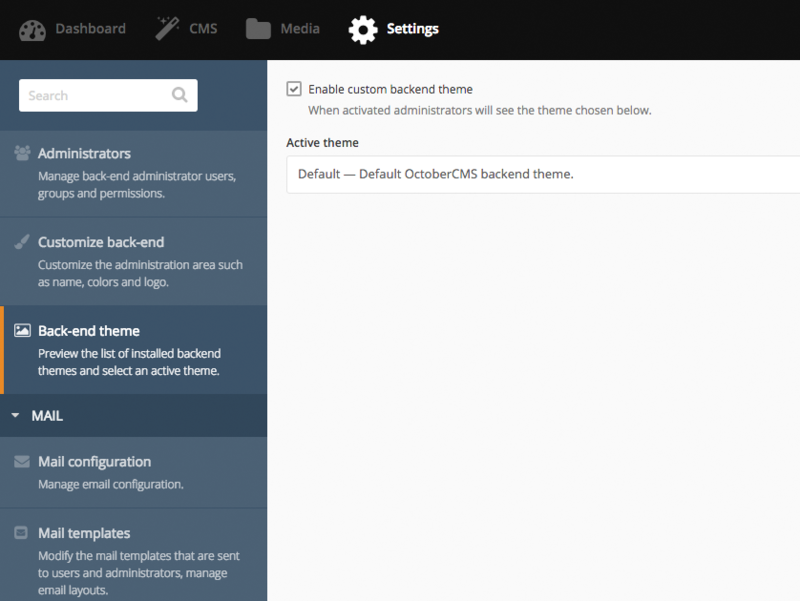 Create or change your own backend theme. You should re-login to apply changes! To configure this Plugin goto Backend System then find System in left side bar, then click on Back-end Theme, you will get Configuration options (see the screenshot). This has stopped working under the new october release. are you planning on a update? Yes. During the next week.